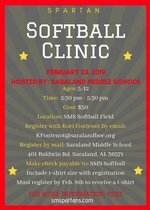 The Saraland Middle School Softball team is hosting a clinic on February 23rd from 2:30 p.m. - 5:30 p.m. for grades K - 6th girls. The cost is $30. Must register by February 8th to receive a t-shirt. Please complete and return the registration form attached. 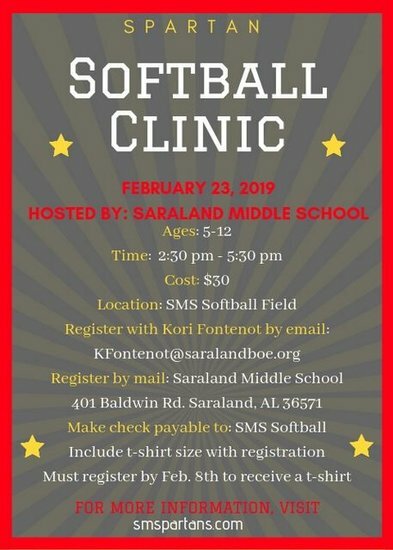 You may turn in the registration form to the school office, email to KFontenot@saralandboe.org, or mail to school.